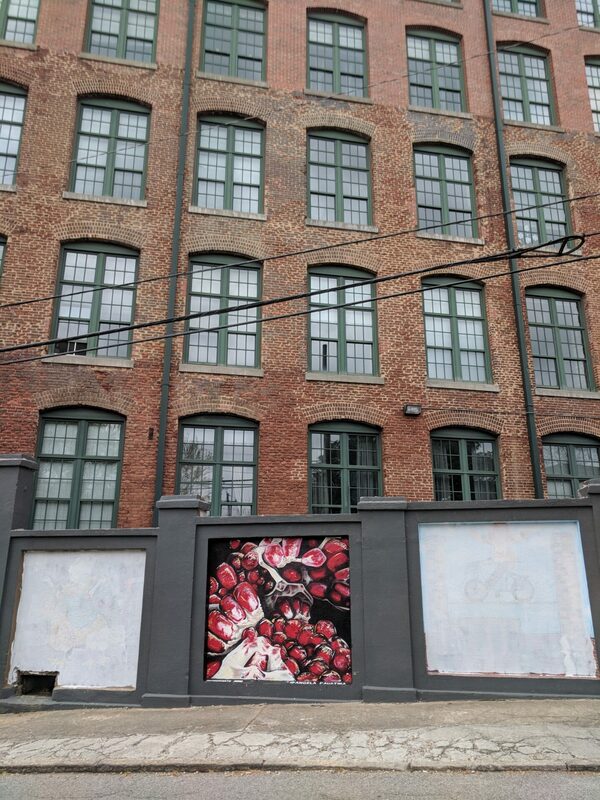 The ten 7′ x 7′ mural squares are located at the back entrance of the Cotton Factory Lofts Atlanta at Tennelle St SE & Carroll St SE. 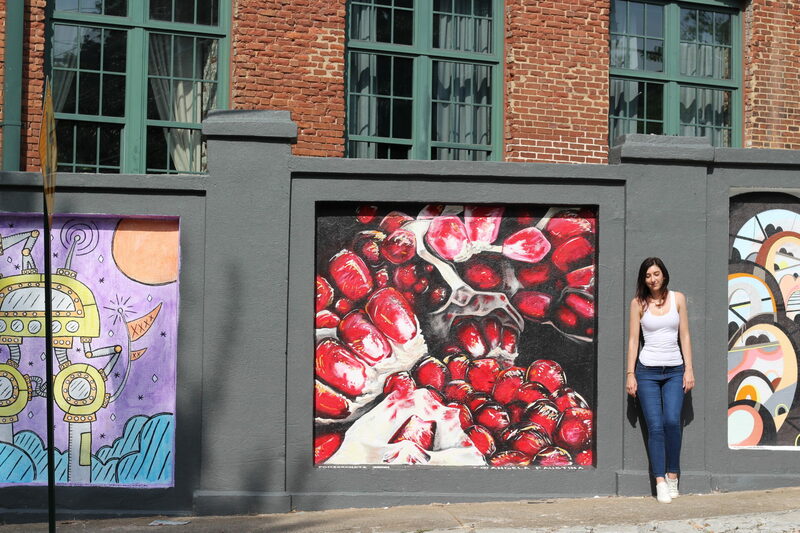 My mural, POMEGRANATE XXXVI, is located right in the middle. 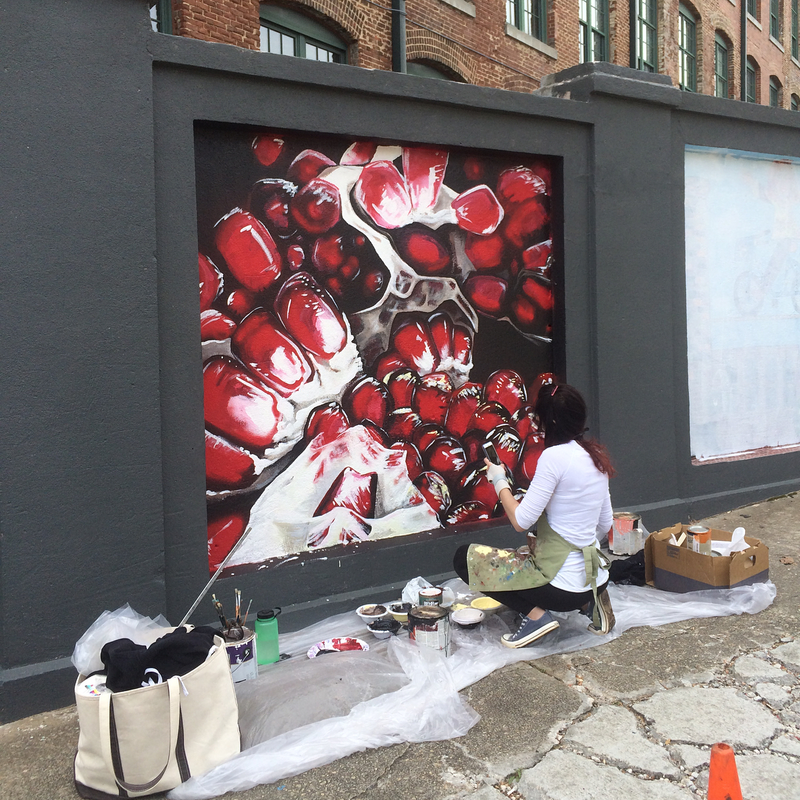 Angela Faustina with her pomegranate painting at the Stacks Squares mural public art project in Cabbagetown, Atlanta. 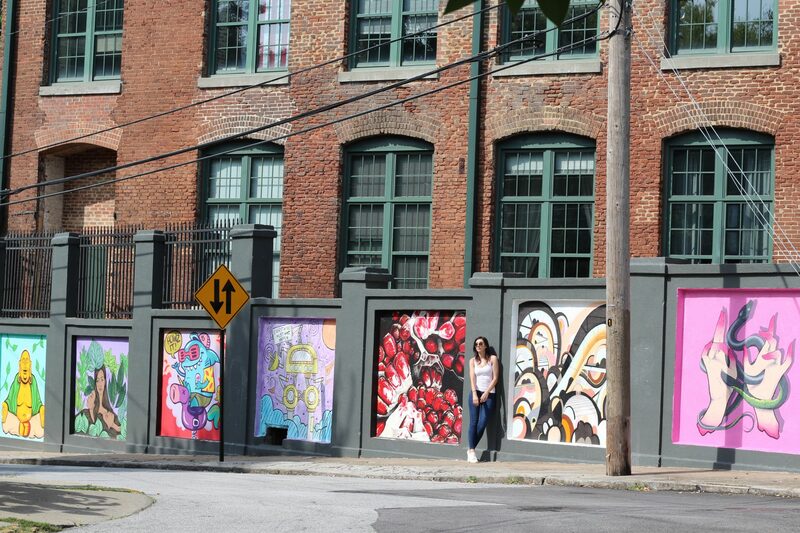 The goal of this project is to involve neighborhood artists, creating stronger bonds between between the diverse City of Atlanta neighborhoods of Cabbagetown, Reynoldstown, and Old 4th Ward. 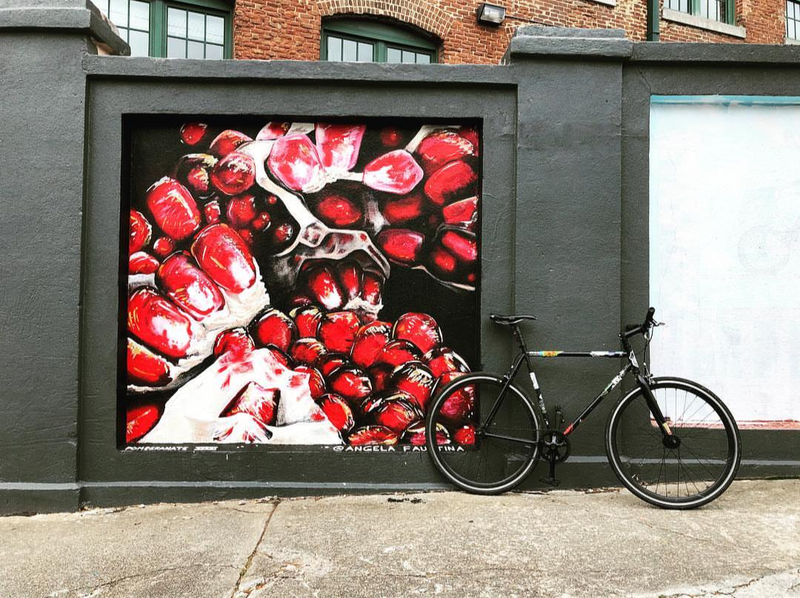 Painting a public mural was definitely a change from my usual private studio routine! 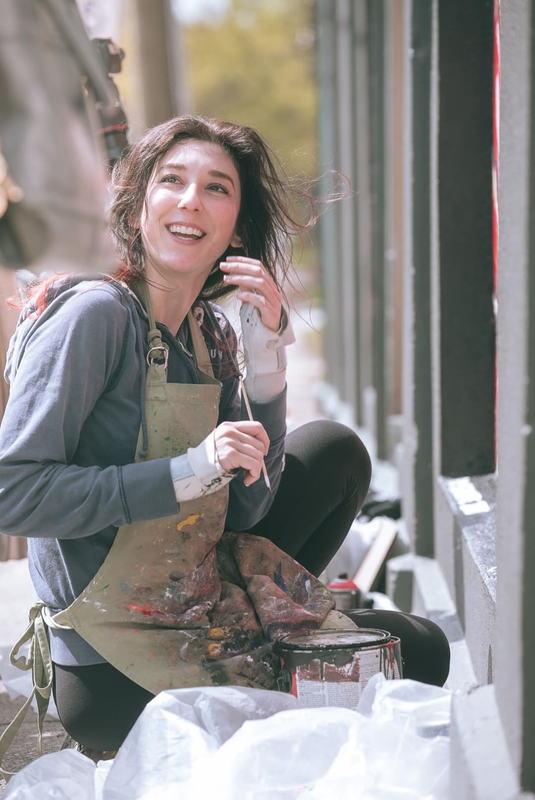 It was wonderful to meet and talk about art with the neighboring communities. There were also a lot of tour groups that came that took great photos. This image of me by Shinnine from South Korea. One of the challenges I ran into was working with acrylics after using oil paints for the past 12 years. 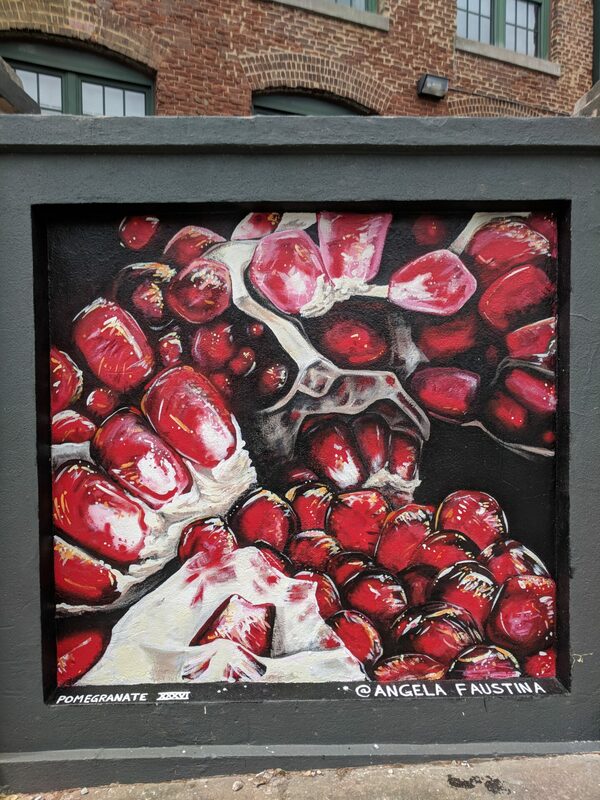 Acrylics dry a different color than they look when they’re wet, which was frustrating for this color obsessed artist.